Cooked potatoes work best for freezing. Fresh potatoes can be frozen but the texture is often altered. Potatoes are often frozen in the form of french fries, shredded potatoes and diced potatoes. This is a guide about freezing potatoes. Cooked potatoes make the best candidates for freezing. 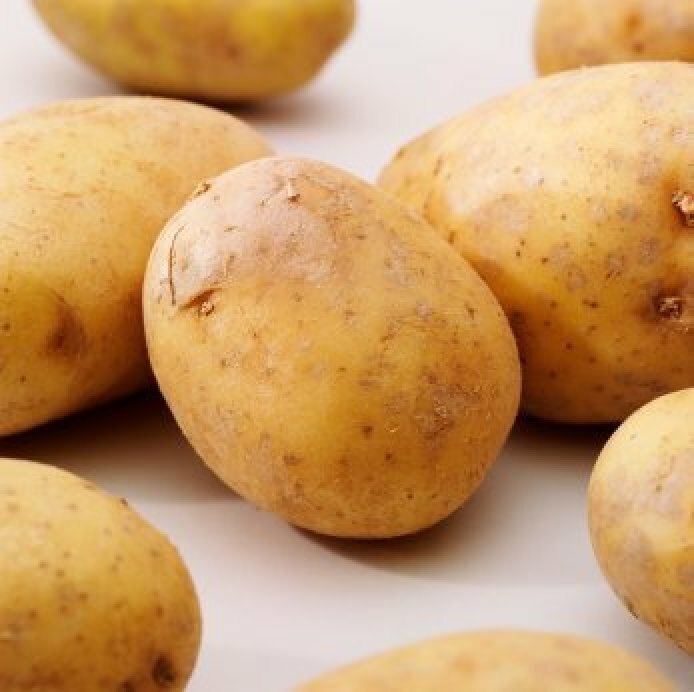 Raw potatoes can be frozen with mixed results, but may develop a watery or grainy texture during freezing. If freezing casseroles or dishes containing unbaked potatoes, it's best to omit them during freezing and add them in fresh later. Cooked potatoes are excellent candidates for freezing and reheating. New potatoes work best for freezing raw. Select smooth, firm potatoes from the supermarket or get them directly from the garden. Peel or scrape and wash. Remove any deep eyes, bruises or green coloring form the flesh. Cut into 1/2 inch slices or cubes. Water-blanch for 3 to 5 minutes, depending on the size. Potatoes should still be somewhat firm after blanching. Cool and drain. Pack in freezer bags leaving 1/2 inch of headspace. Label, seal and freeze. 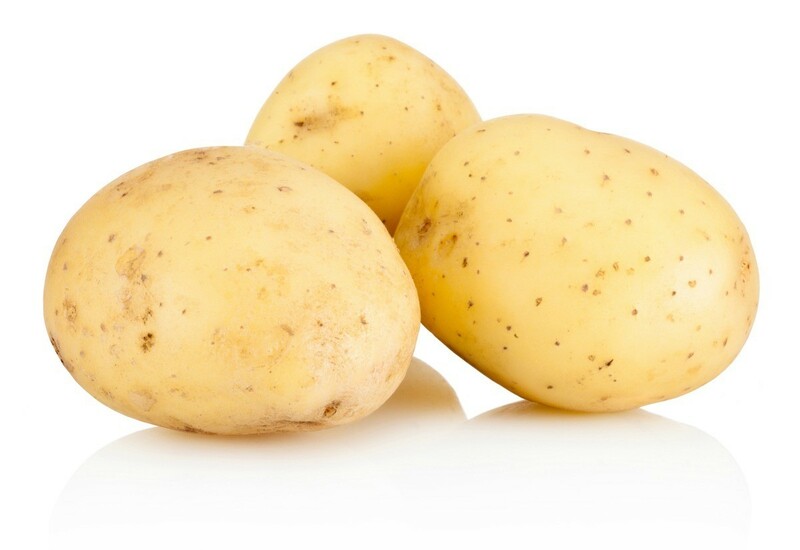 Potatoes can also be boiled whole with the skins on before being frozen. Cook until nearly done. Remove, cool and peel off skins. Wrap in plastic wrap and place in freezer bags. Seal, label and freeze. To prepare, finish cooking in water or microwave. Use mature potatoes (stored longer than 30 days) for making fresh fried potatoes. 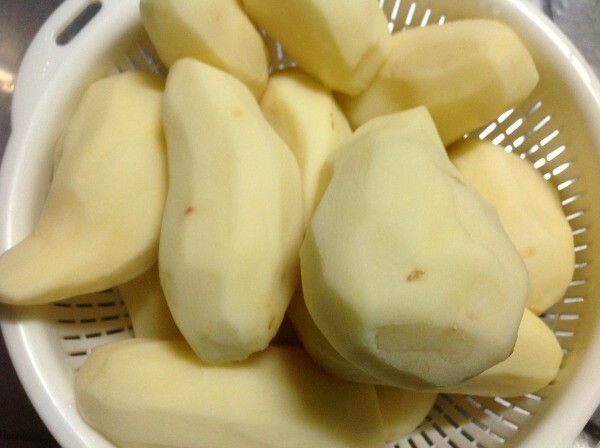 Wash and peel potatoes. Cut them into 1/3-inch sticks lengthwise, then crosswise into 3/8-inch strips. Rinse in cold water and dry thoroughly on paper towels. Fry small amounts in deep, hot oil (360ºF) for about 5 minutes. Potatoes should be tender but not brown. Drain on paper towel. Cool. Package, seal and freeze. Store frozen for 2 months. To serve, finish browning in 425ºF oven or fry in oil. Another method is to place the potato strips in a plastic bag with salt and oil. Shake the bag until the strips are fully coated. Bake them in an oven preheated to 425º until they are golden brown. Cool, package and freeze. Store frozen for 2 months. Reheat in oven until warm. For hashed browned potatoes, prepare as you would to serve, only brown them only to the brown-and-serve stage. Cool and package for freezing. Store frozen for one to 2 months. When you want to use them, finish cooking and browning as you would normally. Prepare mashed potatoes as for serving. Cool. Pack in airtight containers for freezing. Alternatively, spoon individual servings of mashed potatoes onto baking sheets and tray-freeze until firm. Once firm, transfer into suitable containers and freeze. Remove individual mounds as needed. Store in the freezer for 1 month. Thaw mashed potatoes in microwave safe container. To stuff baked potatoes, remove the cooked potato from the skin, mash it and add seasonings or desired fillings. Return potato to the skin, piling lightly. Wrap each potato with plastic individually, then place in freezer bags. Store in the freezer for 1 month. Potatoes can be removed from wrappers and baked for 30 minutes at 425ºF. After 15 to 20 minutes in the oven, top each potato with grated cheese if desired. Wash and peel. Cook until almost tender. Cool. Leave whole, or cut into halves, slices or mash. Dip halves or slices into a solution of 1/2 cup of lemon juice or 1 tablespoon of ascorbic acid to 1 quart water for 5 seconds. This will keep flesh from darkening. To keep mashed sweet potatoes from darkening during freezing, add 2 tablespoons of orange or lemon juice to each quart of mashed potatoes. Pack in suitable container and freeze. Freezer containers should be moisture and vapor resistant and should not be prone to cracking or breaking at low temperatures. Containers should provide protection against absorbing flavors or odors and should be easy to label. Suitable packaging for freezing potatoes includes freezer-grade plastic bags, rigid plastic containers or glass containers and heavy-duty aluminum foil or foil containers. 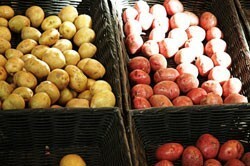 Leftover cooked potatoes can be stored in sealed plastic bags or airtight containers for 2 to 3 days. Fresh, whole potatoes should be placed in a well ventilated container and stored in a cool, dark, moist place for 2 to 4 months. Do not refrigerate potatoes or keep them in plastic bags. Cure home grown potatoes for several days after harvesting in a warm, dark place before storage. This toughens up their skins and extends their storage time. I buy potatoes when they are on sale. Then I boil them, mash them, and seal them in serving size containers and put them in the freezer. It's so nice to be able to just take out as much as I need and microwave it. Beats eating instant mashed potatoes! When I bake my potatoes, I always make extra to freeze. I scrub them well and dry; pierce them and wrap in tightly in foil. Any leftovers are cooled in the foil, then bagged in a freezer bag. Do potatoes cooked in a casserole freeze well? It has been my experience that potato dishes and soups dont freeze well. They end up with a grainy texture. When I make stews with huge chunks of potatoes, that seems to heat back up nicely. Not so much with mashed. There are a few things that don't freeze well, and potatoes are one of them. It seems that they hold water and when you freeze them it changes the texture in the potatoes. I wouldn't suggest freezing them, but if you do, don't defrost them and try to heat it up. Leave them frozen and put this in a pan on the stove and slowly heat them up. This works well, but still the potatoes don't taste the same. How do I freeze fresh potatoes? My advice is, you don't. The texture is ruined. Did I lose my post, don't see it, hmmm. I had said that it is obvious that they can be frozen without problems., freezer section in your supermarket, but I want to know too, so I am gonna search on the internet. You have to have a flash freezer to freeze things like the supermarkets, or ice cream stores, do. A home freezer freezes too slowly. Peel, soak in water to remove the starch, then slice or cube, dry on paper towel or dish towel. Heat cooking oil just to cover the potatoes and blanch in small portions, cool and store small portions in plastic bags or airtight containers. I have a glass Pyrex dish of patrician potatoes leftover from Thanksgiving. It contains sour cream and cream cheese. Can I freeze this dish? I have unsuccessfully frozen mashed potatoes in the past. The dish is prepared, but has not been baked yet. Thank you. I learned that after freezing the mashed potatoes to re-heat them in the oven, stirring them potatoes once or twice (depends on the size of the dish) to keep the content smooth. Worked like a charm. Now if I could only remember to turn my head when I open the oven door then my glasses wouldn't fog over. Can I freeze roasted potatoes, or is it best to freeze the potatoes at the parboiled stage of the proceedings? You might try putting the parboiled potatoes on a cookie sheet with a bit of space between each potato. Place in freezer. After they are frozen, put them into large freezer bags or use a "sealing" machine if you have one, to take the air out of bag. I've done this with raw tomatoes with pretty good success. Can I freeze white baked potatoes? Absolutely! They even sell them precooked and frozen! You can even dress them up before you freeze them to save time at din din! Just split them and add your chives, broccoli, cheese, etc. Let it cool, wrap it up in plastic wrap and freeze. To prepare, just pop it all in the microwave, nuke it a few minutes, time will vary depending on size. Add your sour cream, and viola! I made them for a party and have a lot left over. Can I freeze them? First that sounds really interesting, how do you make them? Second, cut potatoes do not freeze well at all. Mashed a little better, still not great but if you add a bunch of milk when you reheat you can probably get away with it. Throw out those potatoes. Those furry specs are not supposed to be there. Potatoes don't freeze well, in general. I froze sliced raw russet potatoes, and some of them turned reddish-purple, what happened and are they safe to eat? How do I freeze whole cooked potatoes? Do I have to put some salt in the boiling water for freezing potatoes? What is the best process for freezing bagged, peeled, and chopped potatoes? I want to know how to use ascorbic acid in freezing potatoes. Do I put any thing on potatoes when I freeze them? After freezing potatoes, they get yellow. What can I do to keep them white? Some cooks rinse the potatoes in water and vinegar, then blanch prior to freezing. These steps will help keep the potatoes from turning black when frozen. This is a guide about freezing uncooked potatoes. Freezing your crop of red potatoes involves a few steps but the harvest can be enjoyed for months once you have prepared the potatoes and frozen them. 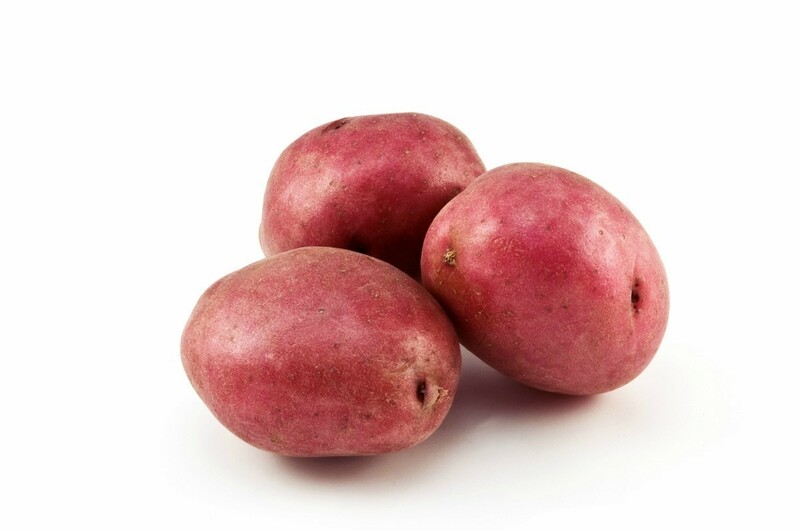 This is a guide about freezing red potatoes. This is a guide about freezing sweet potatoes. 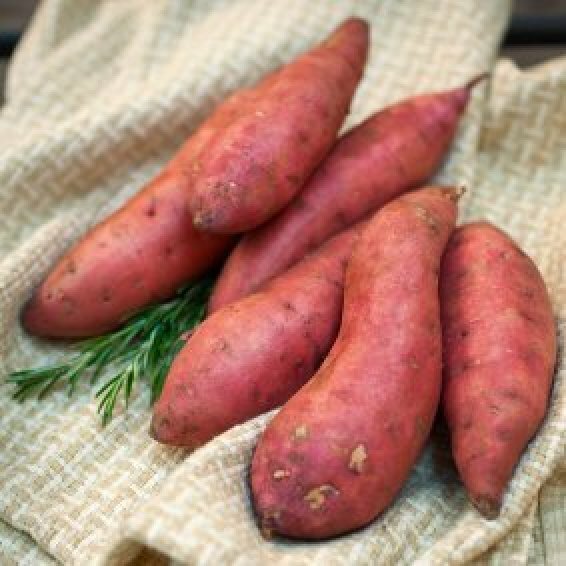 You can shop of sweet potatoes when they are in season at the farmer's market or on sale at the super market. Now that you have a good number of this tasty tuberous root crop, consider freezing some for later use. I was wondering if it is possible to freeze potatoes. Do you have to parboil them, or do any other prep to freeze? I have potatoes that we will not be able to eat before they go bad. I would like to dice them and put them in freezer but need to know how I should go about doing this. Any advice, suggestions, etc. would be greatly appreciated. Thank you in advance! I have only experience freezing mashed potatoes. I add butter or margarine and milk as usual and about 2 heaping tbs. of sour cream. I find the sour cream is the secret, you can;t tell the difference between these and freshly mashed potatoes. I hope this helps. I just had mashed potatoes that I had frozen from Thanksgiving and they were fine. I put them in the oven with a meatloaf and heated them at the same time. I also microwave them after freezing and results were the same. I did thaw them completely in the fridge before heating. I make twice-baked potatoes (scoop out baked potatoes and mix with milk, butter, cheese, etc). I bake them, then wrap each half for freezing. I have not seen much difference in the frozen and fresh prepared. After all, there are frozen twice baked in the grocery store. I do think that reheating them after frozen works best in a hot oven, rather than microwave. I have frozen my potatoes every year for the past 6 years. The new potatoes work the best. All you have to do is slightly scrub the peel off and then pre boil them until they are almost done. Still firm but not yet done. Then you drain them and lay them out on a dish towel to cool. After they are cool just bag them in zip-locks and throw them in the freezer! To cook them just put them in a pot with water and finish them. You can also cook them in cream and onions at this point instead of water. They taste like they are fresh from the garden! Try freezing mashed potatoes, then when you need them again making potato patties (usually a breakfast food) or to make potato soup. Why waste good mashed potatoes just cause you won't eat all of them right now.